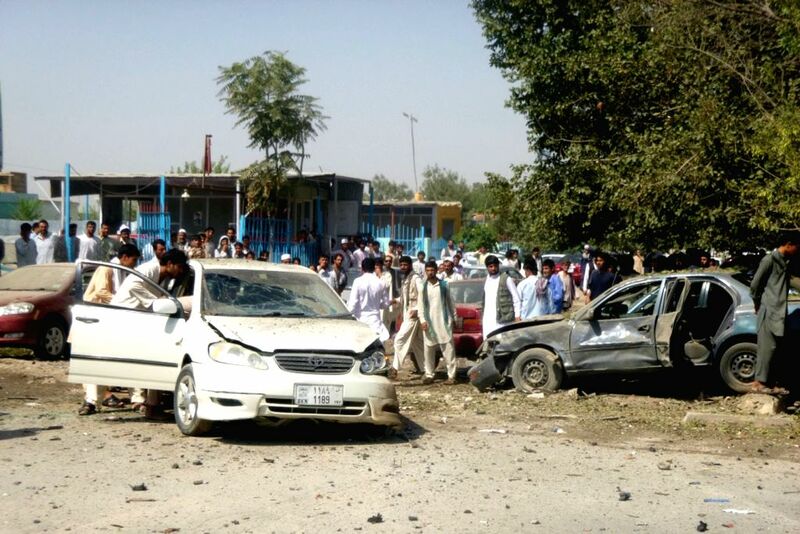 KUNDUZ, July 12, 2014 - Afghans gather around destroyed vehicles after a blast in Kunduz Province, north Afghanistan, July 12, 2014. Earlier on Saturday, Local police commander Niyaz Khan and three other policemen were wounded in a similar attack in Kunduz Province. 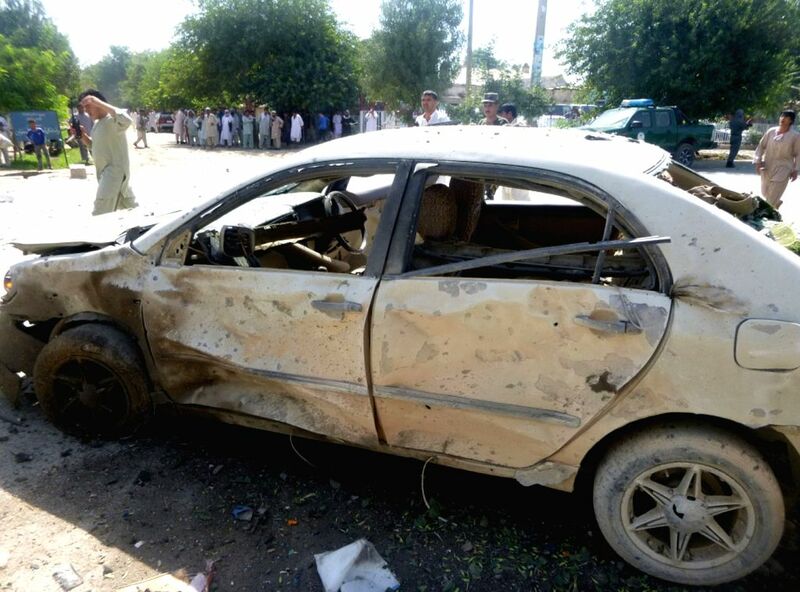 Afghans gather around a destroyed vehicle after a blast in Kunduz Province, north Afghanistan, July 12, 2014.